Womens Care Consultants – Dr. Angela Reining, M.D. Angela Reining was born in Wisconsin and raised in Northern Illinois. She received her undergraduate education at Illinois Wesleyan University before graduating from medical school at the University of Illinois in Champaign-Urbana where she received the Granville Bennett Award for Excellence in OB/GYN. Dr. Reining completed her internship and residency at Barnes Jewish Hospital/Washington University in 2007. She has been board certified since 2009. Dr. Reining has been in private practice since 2007 and joined Women’s Care Consultants in 2011. Dr. Reining is a Fellow in the American College of Obstetrics and Gynecology. She is listed as a “Best Doctor” in the St. Louis magazine. 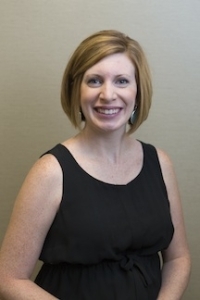 She has special interests in working with teen patients, managing abnormal bleeding and treating infertility and polycystic ovarian syndrome. Dr. Reining is trained in minimally invasive laparoscopic surgery. Though she is a working mom, Dr. Reining continues to deliver 95% of her pregnant patients. She is a proponent of natural (unmedicated) childbirth, Vaginal Birth after Cesarean, and minimal labor intervention.